Wire EDM. The ONA AV60 model with our mineral bed filtration producing firtree profiles in turbine discs for the aeronautical sector. Die-sinking EDM. The ONA QX8 model with a 40-electrode changer making a mold for the automotive sector. Finally, it is important to understand ONA’s commitment to guaranteeing the best performance with maximum reliability for each of its projects. The company innovates new technology regularly in order to create higher productivity and better performance in their robust machines. 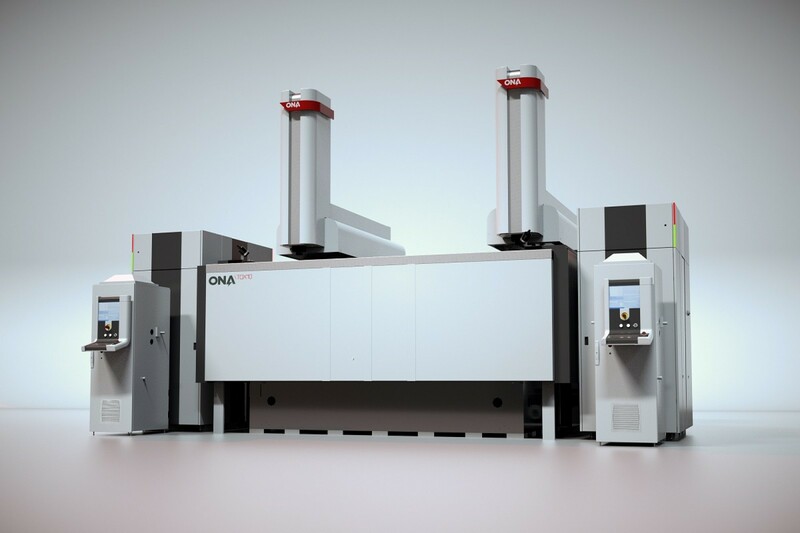 ONA, as a European builder, designs all their machines using the highest quality European built components. It’s R&D department works together with different Technology Research Centers such as ILT-Fraunhofer and WZL-Aachen in Germany; Tekniker, Tecnalia, Ideko, UPV Bilbao, which is the Engineering school for higher Industrial Engineers in Spain as well as participates in European research and development projects (PROSECO, SAPHIRE).